‘Spirituality is becoming popular. Even sociologists have become spiritual!’ said Professor Ursula King while discussing her latest book, ‘The Search for Spirituality: Our Global Quest for Meaning and Fulfillment’. She referred to a cultural vision of spiritual oneness beyond diversity of race, nationality and religion that is evolving within the human species. It is an evolution that was not discussed by Darwin but it is happening nevertheless. 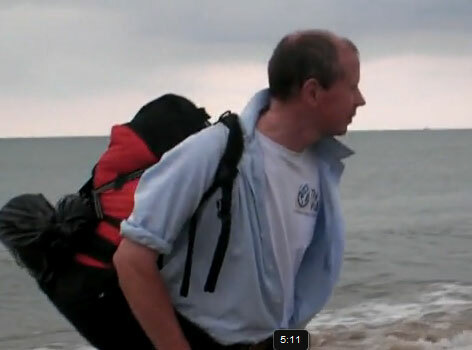 On the first of May 2009, Paul Currie set out to walk the length and breadth of the UK from near Thurso to Southampton via Ireland, around 1000 miles. His intention was to raise funds and awareness to establish an Interfaith Youth Hostel. He took no money with him and no support. After 40 days he reached the sea at Christchurch. See his blog here. Message from Canon Andrew White read out to the recent ‘Joint Celebration of Holy events of the Three Faiths of Abraham’. ‘Greetings from Baghdad, I am so sorry that I am unable to be with you today especially as my great friend and member of my board Dr Raheem Kahn is behind this event. 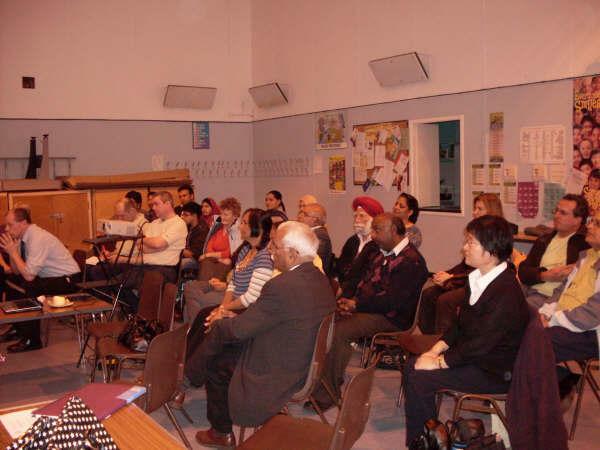 Three speakers, Shamaalia Nooranne ( Muslim faith), Paul Currie (UPF) and Dr. Maureen Siers (Baha'i) gave talks to the mixed audience at the Darnly Community Centre in Glasgow. Shamaalia pointed out that "we need pure intentions to create a cohesive community", Paul talked of the principles of selflessness and genuinely lving for others that need to underpin the building of a community. 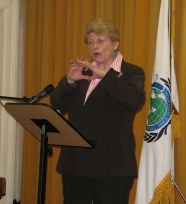 Maureen gave insights into the Baha’i community. Following the talks prayers were given for world peace. This was a promotional event to showcase the work the ‘Glasgow Peace Federation’ ( the Glasgow branch of UPF ) have been doing over the past year.